Why can't the Black Caucus stand up uniformly for free enterprise? Uber, the ride-hailing company, founded in 2009, began operations in San Francisco in 2011, and now has a presence in 449 cities worldwide. From its beginning with just a vision, the firm's market value, by recent estimates, now exceeds $60 billion dollars. Uber is just one of many new emerging businesses that are the result of applying new technology to the routine affairs of living. 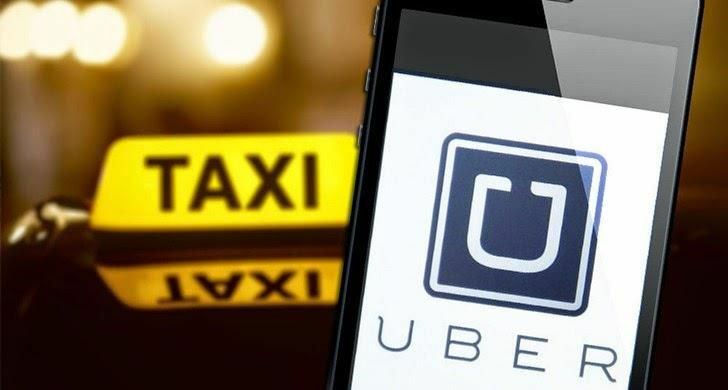 In this case, rather than needing to hail a cab or order one from a central office, you just connect with drivers through an app on your smartphone. When existing businesses find themselves threatened by innovation, they have two choices. Adapt and change or try to destroy the innovation that is challenging their existence. The business that ride-hailing firms like Uber, and its smaller rival Lyft, challenge is a highly regulated business — the taxi business — that is tightly controlled by the cities in which they operate. These are government-controlled monopolies designed to limit competition. So it's not surprising that the taxi business opts for option two in dealing with the threat from Uber — use government and regulation to try and squash their competition. Of course, when competition is squashed, it's consumers that pay the price and lose benefits and services that they otherwise would enjoy. The latest push to squeeze out Uber and Lyft is to require fingerprinting as part of driver background checks and running the fingerprints through an FBI arrest database. Uber says it does background checks by name, working with a firm that checks court information to uncover criminal records. Recently Uber and Lyft pulled out of Austin, Texas, because of the city's refusal to pull the fingerprinting requirement. Let's think about this for a minute. If a horrible incident occurs that is the result of Uber not adequately checking its drivers, the firm could well wind up out of business. Who has more to lose if Uber doesn't do its business properly — Uber or a politician who claims to be looking out for consumers but in all likelihood has been lobbied by the taxi companies and just wants to preserve the status quo? John H. Cochrane, a fellow at Stanford University's Hoover Institution, has written recently about the anemic economic growth of the country. This slow growth translates into huge losses in jobs and income. Cochrane attributes this slow growth to bloated government and an overregulated economy. "The country needs a dramatic legal and regulatory simplification, restoring the rule of law," he says. "State and local impediments such as occupational licensing and zoning are also part of the problem. ... Economic regulation is largely designed to protect profits, jobs and wages tied to old ways of doing things. Everyone likes growth, but only in someone else's backyard." Uber has an unusual ally, in its battle against fingerprinting, in the Congressional Black Caucus. But the Caucus is on the right side of this issue for the wrong reason. They argue that fingerprinting will cause discrimination against blacks. Fingerprinting checks reveal arrests, not convictions, and blacks, they say, are arrested disproportionately. But why can't the Black Caucus stand up uniformly for free enterprise? According to a survey commissioned by Uber, 24 percent of their drivers are black. I use Uber all the time and meet these young black drivers, making extra money and building their entrepreneurial skills. Protecting the status quo from competition is not in anyone's interest. Certainly not the interests of low-income Americans who want to get ahead. A new report from the University of California, Riverside School of Business Administration notes that the number of black-owned businesses grew 40.3 percent from 2007 to 2012, compared to 3.4 percent nationwide. The last thing these new black entrepreneurs need is to be regulated out of business. We should be welcoming innovation, not trying to crush it. A country obsessed with protecting the past has no future.